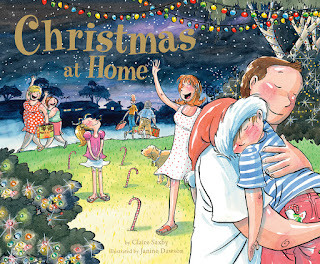 Following the success of dynamic duo, Claire Saxby and Janine Dawson’s Christmas books (Christmas at Grandad's Farm and Christmas at Grandma's Beach House), comes their latest creation - Christmas At Home. Written to the tune of “O Christmas Tree”, this fun, rollicking rhyming Christmas book is bound to get you in the festive mood. Beautiful to look at and touch, with cleverly embossed Christmas related items on the front cover, every page is jam packed with Dawson’s distinctive (almost Anime style) illustrations with an Aussie twist. Set against a warm December sky, Christmas At Home celebrates a typical Aussie family backyard Christmas, from decorating the tree, to looking at the neighbourhood Christmas lights, to enjoying Christmas lunch and unwrapping the presents with the extended family. The illustrations are fun and joyous to look at, while the text is cleverly executed making you want to sing-along as you turn every page. 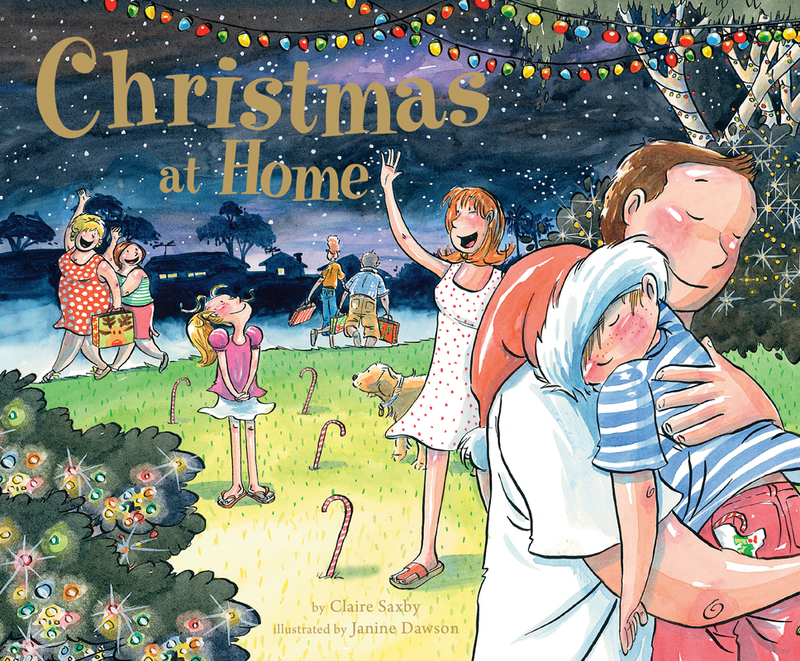 A gorgeous Christmas book for every Aussie household! I agree it's a gorgeous book that would make all sorts of people happy.